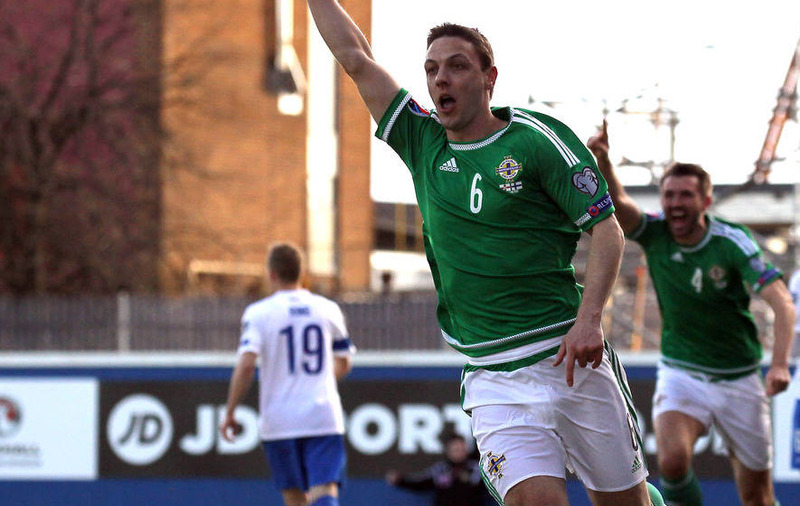 CHRIS BAIRD claims Northern Ireland can "see the finishing line" as they look to book their place at a first ever European Championship. Michael O'Neill's side have been a revelation in Euro 2016 qualifying, winning four of their first five games to sit second in Group F. Their only setback thus far came in March when they lost 1-0 in Romania, but success in the return fixture on Saturday would leave them in a handsome position with four matches remaining. It is three decades since Northern Ireland last appeared on the big stage, at the 1986 World Cup, and Baird is starting to believe that long absence could soon be at an end. "To qualify for a first major tournament in 30 years, a first Euros ever, would be massive not just for us but for the whole country," said Baird. "Hopefully things are looking up for us. Now that we're in this position we can see the finishing line in front of us and we want to get there sooner rather than later. "The right result on Saturday puts us in a phenomenal position with the next two fixtures away to the Faroe Islands and home to Hungary. "It's working out for us. We're concentrating solely on this one because if we get that right result we're in an unbelievable place. "We know we can get victory in the Faroes, that's for sure, so if we had two wins from our next two games that's us pretty much qualified. "That's my personal opinion and I think all the players would agree. We're ready for it." Baird is one of a handful of Northern Ireland 30-somethings, alongside Aaron Hughes, Gareth McAuley, Steven Davis, Roy Carroll and Chris Brunt. Most of them have seen more disappointments than glory days in their international careers, but are now buoyed by the chance of a crowning achievement in France next year. "We've had many bad times, the likes of myself, Gareth, Brunty, Aaron... we've been there, done it and failed many times," Baird added. "But the confidence in this group, with the start we've made, you can see that in training and on the pitch. It's massive for us. Obviously, we had a setback in Romania but we came back and beat Finland and we're still right on track for what we want to achieve. "The experienced ones are helping along some of the younger ones, who are doing fantastically well and helping us out too. They know themselves about the failures and what's gone beforehand, some of them probably watched it, but things are turning on their head. "It's a good mixture we have and it's working well at the minute."